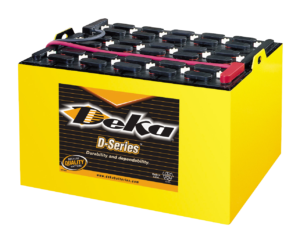 Deka Batteries are built using the most technologically advanced manufacturing processes to assure the highest quality and performance. 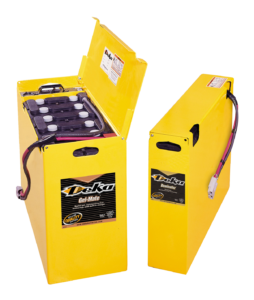 We keep a stock of over 400 batteries of different sizes and voltages to meet your everyday needs and special requests. 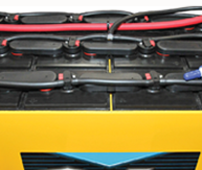 View the Battery Selector Guide. 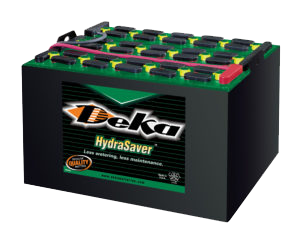 HydraSaver®: Less watering and maintenance. 9 to 10 weeks extended watering intervals. Get more info. 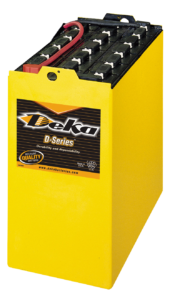 D-Series™: Durable and dependable for almost any motive power application. 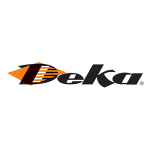 Get more info. 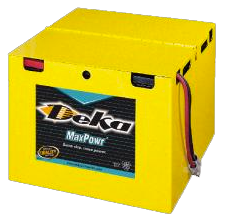 Max Powr®: Delivers up to 10% more amp-hours in the same size battery meaning more work per shift compared to batteries of the same size. Get more info. 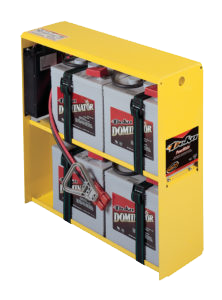 Gel-Mate® and Dominator®: Maintenance-free, sealed-valve regulated gel batteries. 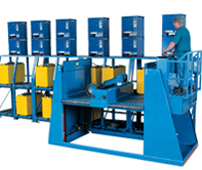 The best solution for Class III applications. 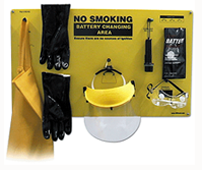 Get more info. 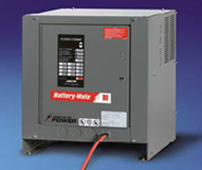 PowrMate®: Combines all benefits of maintenance-free gel batteries with an on-board, capacity-matched charger. 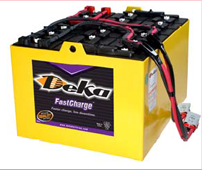 Two battery sizes to fit virtually any pallet jack for light to medium use. Get more info.